The Federal Tax Authority (FTA) has announced that businesses can now go for online registration of value added tax (VAT), which is scheduled to start from January 1, 2018, at a standard rate of 5 per cent. The FTA, which is the UAE government's entity responsible for administering, implementing, and collecting federal taxes in the Emirates, said all businesses with an annual turnover of Dh375,000 must go for online registration through the authority's website ahead of the new levy in January next year. Taxpayers can register voluntarily if the total value of their taxable supplies exceeded Dh187,500, or if the business expects to exceed that threshold within the next 30 days. The businesses, with an annual turnover of over Dh150 million, also urged by the authority to register before October 31, 2017 while businesses with an annual turnover exceeding Dh10 million are allowed to register before November 30, 2017. The FTA website will facilitate the registration procedures for all businesses that are subject to the new taxation. All businesses that must be registered by January 1, 2018 and should submit their registration applications before 4th December, 2017 to minimise the risk of not being registered in time for the beginning of 2018. "This is part of our commitment to enhancing the readiness of different businesses and raising their preparedness for the easy application of the distinct tax system that is consistent with global best practices and embodies the leading position of the UAE at all levels. The Federal Tax Authority is keen to give the business sectors sufficient time to adapt their operating systems to the requirements of the VAT system," Khalid Al Bustani, Director-General of FTA, said. "The registration portal is available to all businesses around the clock to assure the ease and usefulness of the registration procedures to all businesses from all sectors through the website, which has been specially designed to meet international standards and to provide guidance to registrars on the completion of their applications." 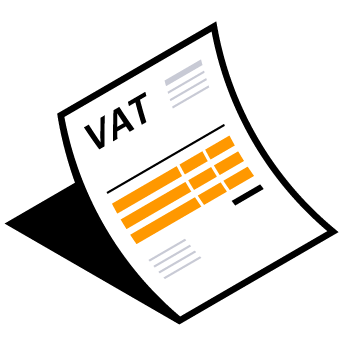 The FTA has urged all businesses to learn and understand the implications of the VAT system and to align their work with the reporting and compliance requirements by the government. Businesses are also asked to ensure that they meet the conditions that allow them to uphold their obligations, which might call for making certain changes.